Windows play a major role in the homes and businesses of the El Paso area. They supply natural light to the interior while giving the building itself a welcoming aura. It’d be a shame for homes in the Sun City to not take advantage of the nearly constant sunlight that shines brightly throughout the year. Natural light not only provides warmth and comfort, it’s also more efficient and allows homeowners to cut down on electricity use. When you choose Trim Team as your window specialists, you can customize your windows from frame color to glass options and everything in between. There are many options available to make your new windows suit your needs perfectly. Homeowners have the ability to customize their homes from roof shingles to floor tiles. So why not customize the windows too? Since a window is made up of a few main components, you have many customization options at your disposal. 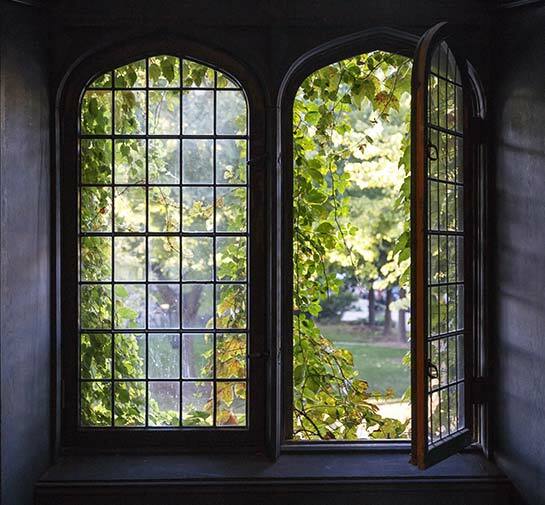 Windows are much more than simple pieces of glass. Two common window options are Low-e vinyl or aluminum windows. Each one has its own pros and cons and they can suit the needs of different homeowners. But customization doesn’t start and end at the window options. Homeowners can also choose specific frame colors to bring a touch of vibrance or class to any room. It may seem bizarre but many windows are actually not clear. Although they may be see-through, they’re not entirely clear. Low-e vinyl windows have a thin, microscopic coating of metallic oxides that allow natural light to enter the home while simultaneously preventing unwanted UV rays from making their way indoors. This is a great window option for homeowners in the Southwest. Since they’re clear as can be, low-e vinyl windows still serve the intended purpose of letting natural light in, all while reducing the negative effects of UV rays. Aluminum windows are another option for homeowners who require a light window that’s still strong. Since these types of windows are durable, they don’t require as much maintenance as other windows. Aluminum windows are also easily manipulated so they can fit into frames of unusual shapes. The major downside of aluminum windows is the fact that they don’t retain heat too well, meaning they don’t work efficiently in cold climates. Thankfully, El Paso and the surrounding areas tend to be warmer rather than cooler so aluminum windows remain a great option. There are many more glass options from which homeowners can choose. Double paned windows, for instance, provide more noise reduction and can be filled with invisible gas that helps in further reducing harmful UV rays. Wood-clad windows are popular due to their classic look and low-maintenance beauty. No window is complete without frames. At Trim Team, we provide a variety of color options to suit your aesthetic wants and practical needs. If you’re ready to fully customize your home’s windows, choose Trim Team today!